Seen here on April 23, 2018, a home at 99 Russell Farm Road was totally destroyed by a fire on Sunday afternoon. Two people were found dead at the site, while two others were hospitalized. 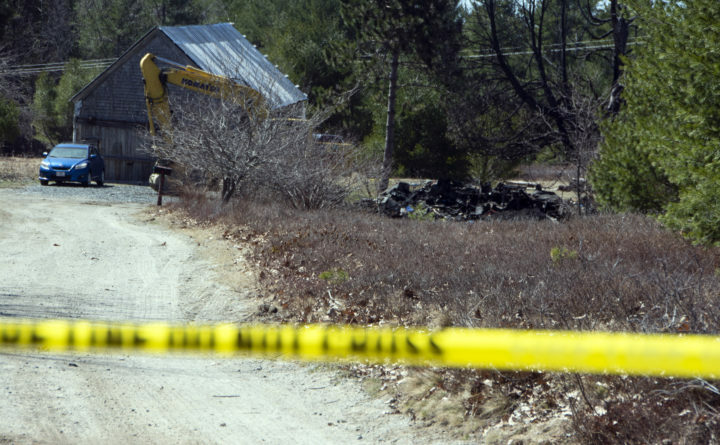 A Bar Harbor family is suing Emera Maine, alleging that the electrical utility’s negligence contributed to a fire that killed an elderly mother and her adult son and destroyed their farmhouse last year. Dale Harding of Bar Harbor filed a lawsuit in Hancock County Superior Court in Ellsworth on Wednesday seeking unspecified damages against the utility in connection with the deaths of Erlene Harding, 79, and her 57-year-old son, Leroy Harding, on April 22, 2018. “Emera Maine’s focus is always the safety of our customers and reliability of the electrical system, and we made ourselves available to support the State Fire Marshal’s Office investigation,” Long said. The cause of the fire was still undetermined after that investigation. Emera claimed the surge was an “Act of God” caused by a tree falling on a utility line, according to the 21-page lawsuit filed by Dale Harding on behalf of the family estate. However, attorney Jim O’Connell of Lewiston, who represents the Harding family, said that several experts who examined the fire are prepared to testify that faulty wiring and other Emera employee errors caused the fire. 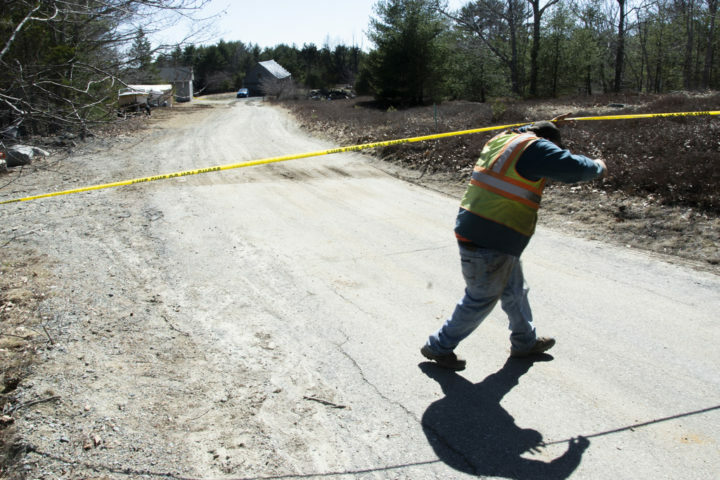 A worker from John Goodman Jr. Construction climbs out from under a section of yellow barricade tape after setting the tape back across Russell Farm Road on April 23, 2018. The construction worker was taking back a backhoe used to move the remains of a house that burned down on Sunday. In the months leading up to April 2018, the area around the Hardings’ home experienced “an unusually large number of power outages, including planned outages for Emera to perform work on its transmission and distribution system,” according to the lawsuit. One surge in early April was “so large it caused the electrical meters on the outside of several different homes in [the area] to be ripped off” and thrown a considerable distance, according to the lawsuit. One surge followed a planned power outage that affected 370 customers, including 15 in the Russell Farm Road area, according to the lawsuit. Emera compensated its customers for the damage done to the 15 homes, including burned wiring and appliances, furnaces, refrigerators and heat pumps, according to the lawsuit. The power to the Harding home went out during the night before the fire, which was reported at about 8 a.m. Percy Harding, who has since died of cancer, heard “a loud ‘pop’ or ‘boom’ sound” shortly before discovering the fire, according to the lawsuit. “Moments before hearing this sound, Percy Harding had noticed the power come back on in the house,” according to the lawsuit. Percy, who was Erlene’s husband, and their son, Raymond Harding, escaped the fire. Emera has 20 days to answer the filing. No hearing dates have been set, O’Connell said.